The Donald L. and Lois H. Stafford create an endowment for the Humane Society of Pulaski County. Donald and Lois Stafford grew up in Giles County and moved to Fairlawn in Pulaski County soon after they were married. There they raised their son, Chris, and daughter, Cindy, while Donald worked as an instrument mechanic at the Radford Arsenal and Lois worked at a local textile mill before becoming a bank teller. 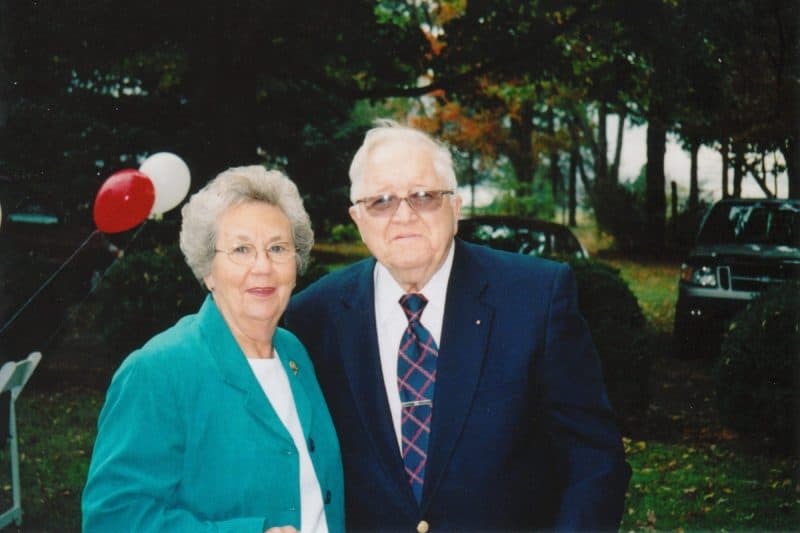 Both were active in their church and gave freely of their time and talents to make sure that the needs of family, friends, and neighbors were always met. While neither attended college, they understood the importance of education and worked hard to ensure that their children would become college graduates. Most importantly, they were kind, loving, and generous people and they passed on those values to their children. Chris recalls how the family had a dog for as far back as he can remember. Later in life, his parents channeled their love of animals into support for the Humane Society of Pulaski County. Based in Dublin, the Humane Society helps place animals with caring families via its rescue and shelter programs, fields over 300 calls per month from residents seeking assistance for their pets, and works to reduce pet overpopulation via its spay/neuter program. “I believe that their passion for animal welfare was a natural extension of their concern for others, especially those who are the most vulnerable in our society. They made regular financial contributions to the Humane Society and would also bring donations of needed supplies such as dog food to the animal shelter,” Chris shares.